In fact, many people who complain the most about the “evils” of welfare are actually receiving it themselves – in some form or another. They just don’t realize it, because they don’t know what welfare really entails. Can you imagine trying to feed yourself adequately – not to mention healthily – on such an small amount of money? The fact is, blue-collar wages in America are simply not high enough to support workers in today’s economy. The wages paid by many large employers (including giants like Wal-Mart) are so low that their full-time employees are eligible for welfare. And furthermore, half of all food stamp recipients are children. 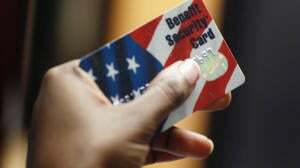 More than 82% of all food stamp money goes to households that include children, elderly people, or people with disabilities. These are people who legally or physically cannot work and live at the mercy of the system. Yes, their kids can attend public schools for free, but undocumented immigrants are actually contributing more to the American economy than they take away – and they have no access to food stamps or other welfare programs, despite being one of the lowest-paid groups in the nation. Federal government research tells us that the population of welfare receivers on drugs is basically the same as that of the American population in general – in some cases, even lower. Research proves time and time again that mandated drug testing costs taxpayers much more money than it saves. And since welfare naysayers never get the results that they want from the tests, you would think they would give up with this tired tactic already. Plus, myths about people who do use drugs are terribly misguided and harmful. “Who is this woman and how dare she steal the money of innocent, hardworking people?” cried the voices of people across the nation. What’s much more important than the falsehood of that single example is the fact that this stereotype doesn’t hold up in general. As we’ve already discovered, most welfare recipients are people just like us – hard workers struggling to support themselves and their families in the wake of the Great Recession. Government assistance is extremely effective at helping people get out of – and stay out of – poverty. Every year, Census Bureau data proves that welfare programs are instrumental in helping people get back on their feet – and quickly. This brings us to the greatest myth of all – the myth that you or I will never, under no circumstance, need government assistance. No one can truthfully know that life will not throw them a curveball that severely impacts their financial situation. It’s crucial to understand that many of the welfare recipients people pity – or disdain – started out in a much more stable position. Providing a safety net through government assistance makes our country stronger – and it’s time for Americans to stop spreading untrue and damaging rumors decrying the very programs that are creating a brighter future for our nation’s most vulnerable. It’s time for politicians to stop trying to cut meager benefits to struggling families. Because there are millions of people out there who truly need these programs to help them get back on their feet. And you never know – someday, you might be one of them.